There are many well-established UK detective series whose authors use regional settings: Yorkshire, the Lake District, Sussex, Northumberland, Edinburgh, the Fens, and many more. Here, Ewart Hutton makes the claim for DS Glyn Capaldi of mid-Wales to join this pantheon. Does he succeed? The signs are very good, but I have a few reservations. Capaldi is the narrator of the book; he has been transferred from big city (in Welsh terms) Cardiff to the black hole of mid-Wales after a botched investigation. Mid-Wales is a large, mountainous area with few roads, so having a detective on the spot to respond to the rare but dispersed crimes will save the police force money compared with having to dispatch officers from the nearest large town. Capaldi is pretty fed up - his wife has left him and he lives in a caravan - so almost out of boredom becomes involved in the strange case of a missing minibus which was taking some rugby supporters home after a Wales-England match. The uniformed police, all locals, are not concerned about the disappearance of the minibus or the occupants, putting it down to a drunken prank. Their view seems to be vindicated next morning, when the vehicle is found carefully left in a car park and the men concerned turn up after spending the night in a shack in the woods. Capaldi is unconvinced, as one of the men is still missing. What's more, a woman was seen on CCTV getting on the bus at a service station but she, too, has vanished - if she ever existed. The other passengers tell the police that the two of them have gone off together, but because of a past case in Cardiff which ended in tragedy, Capaldi refuses to accept this explanation and against the orders of his bosses and to the annoyance of his local colleagues, pursues his investigation. The book takes a few chapters to get into its stride. 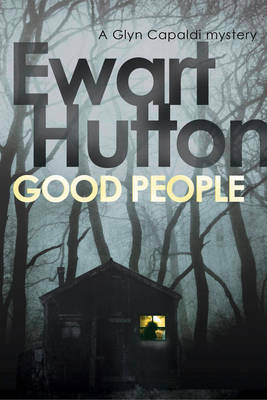 At first, the writing style seems to be a mix of the whimsy of the Aberystwyth novels of Malcolm Price and American hardboiled, which when applied to a missing minibus in farm country is quite amusing, but made me wonder how the author was going to keep it up for a whole book set in rural Wales. Soon, however, substance takes over from style, the narrative grips and the mystery becomes intriguing - I was hooked. Capaldi follows the time-honoured tradition of tracking down all leads and witnesses, relentless in his search for the truth whatever the humiliation or cost to himself. In the process he encounters the Welsh farming mentality, the care home system for both ends of the age-range (children and old people), prostitution at the perverted end of the scale, and even, possibly, love. The pacing is very good indeed, as layer after layer of information is glimpsed yet each time turns into an almost-dead-end. Unfortunately the final eighth of the book is a big disappointment. Most people suddenly begin to act out of character or in contradiction to what they stood for previously; the villain(s) seem to construct incredibly complex fallback plans in some ways yet be incredibly careless in others; the subplot of Capaldi's ex-wife's new husband starts promisingly but peters out; and the solution to the mystery seems unnecessary - the same end could have been achieved far more simply. Despite the mess of an ending, I think this series has lots of potential as the character of Capaldi is engaging, the way in which Welsh life and attitudes are conveyed is astute and funny without being sentimental, and there's an emotional honesty yet toughness to the book that I really liked. I just hope that next time, the resolution of the plot is compatible with the set-up instead of spiralling away from it into baroque incredulity.